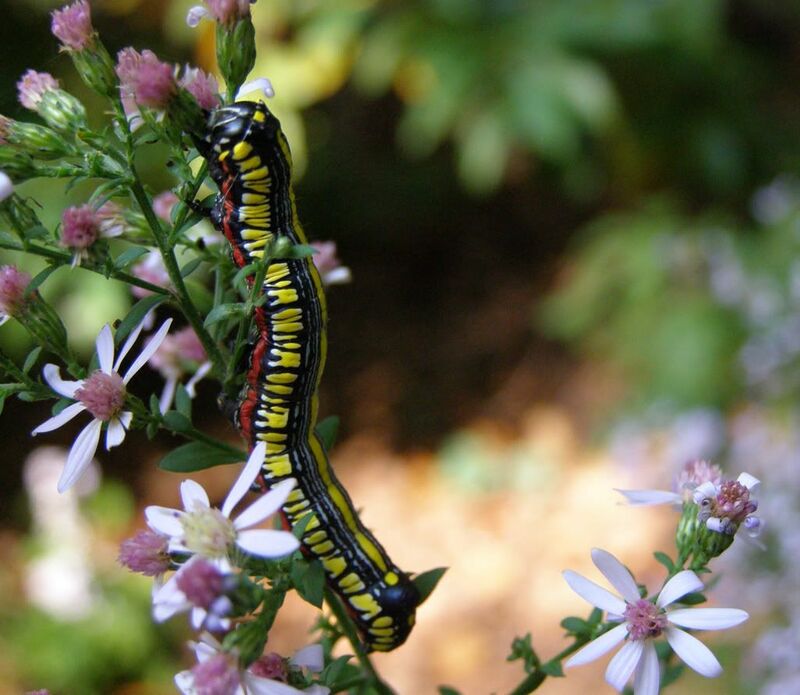 Biodiverse Gardens: The book "Bringing Nature Home" works! In 2007 an absolute joy was published. "Bringing Nature Home" by Doug Tallamy is an easy to read book that shows why we're facing a mass extinction the world over. As the title may suggest though a detailed method of saving nature is spelled out, and I'm happy to say it works! 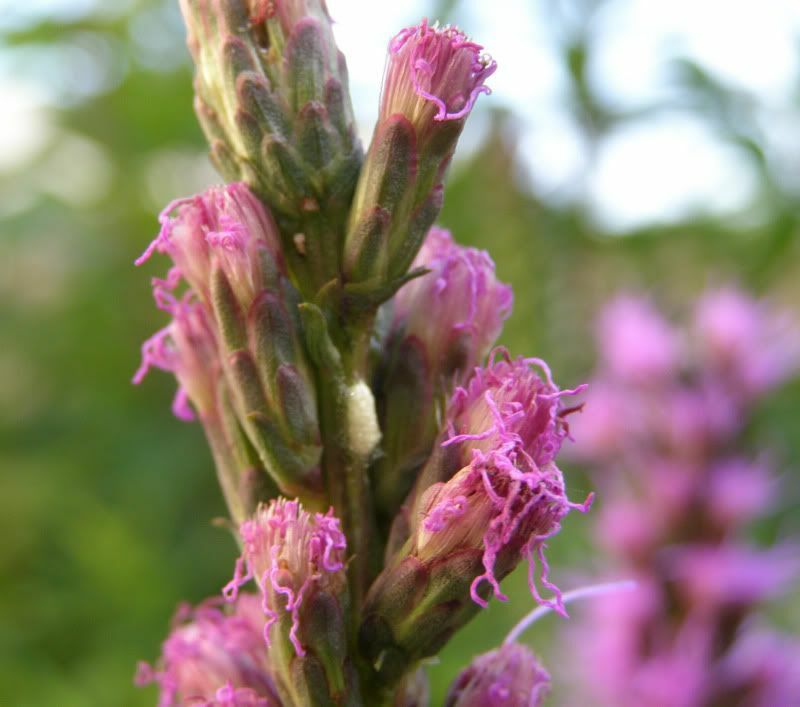 Basically what it boils down to is grow native plants, and favor them as much as possible. This attracts and hopefully creates more insects. These in turn consume inedible plants such as the Oak Tree. Ever eat an Oak leaf? Don't bother they taste awful! 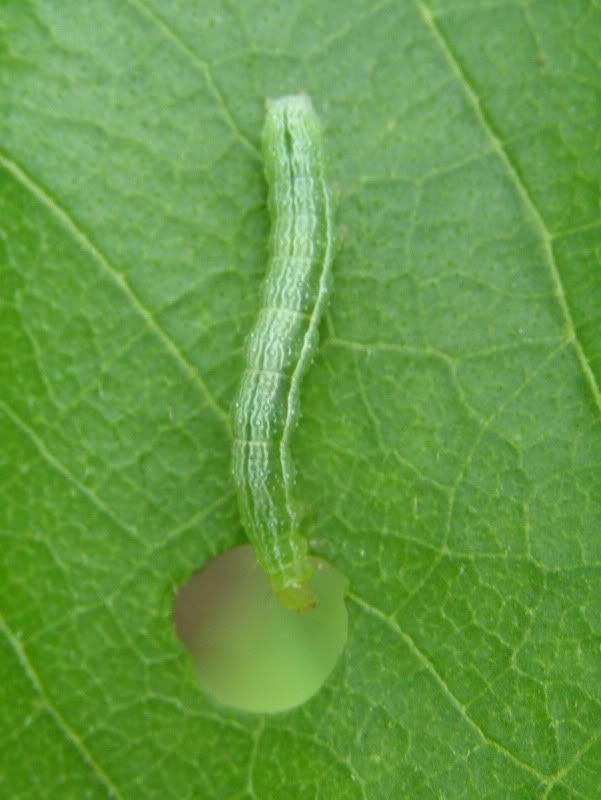 Ever eat the caterpillar that eats oak leaves? They taste awful too! But have you ever eaten a bird that eats the caterpillars that easts the oak leaf? Some of those actually taste pretty good! So it is mind baffling that we protect endangered species and by only preserving a fraction of their habitat and expect them to rebound. This is the equivalent of Indian reservations. So his book makes sense, sounds good in theory, and I have to say my native plant garden does not disappoint! I have so many caterpillars, and other insects, and I'm seeing so much diversity. Most of these I don't know the name of. 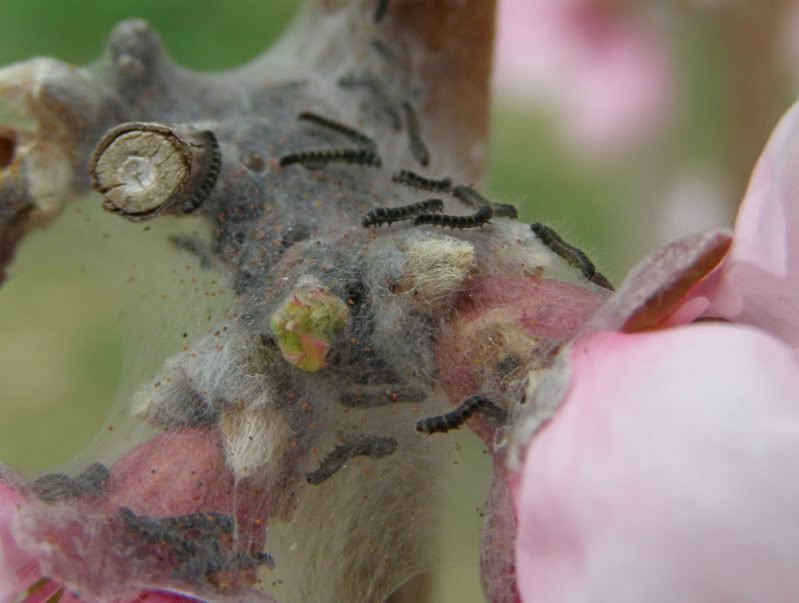 Earlier in the year Gypsy Moths were on my Nectarine Tree. Not native but the chemical structure in the leaves is similar enough to apples that they can use it. They barely did any damage to my tree also. All of them were eaten by Wasps and Ants. 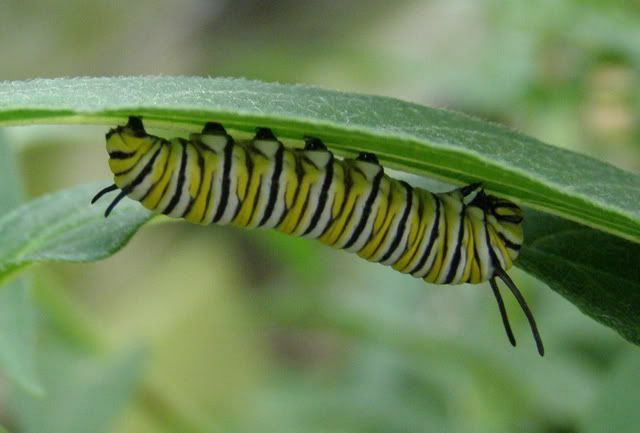 The Milkweed for the past two years has gotten me Monarch Caterpillars. I'm expecting them again this August. And I've had a few Monarchs hatch out from it. This caterpillar/worm I actually wasn't happy to find. 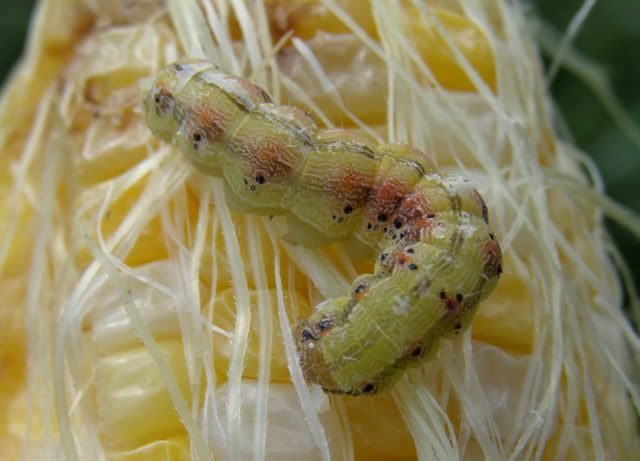 It was eating our corn. A Brown-Hooded Owlet which was on an Aster I planted. They will also use Goldenrod and occur in the fall when both plants bloom. 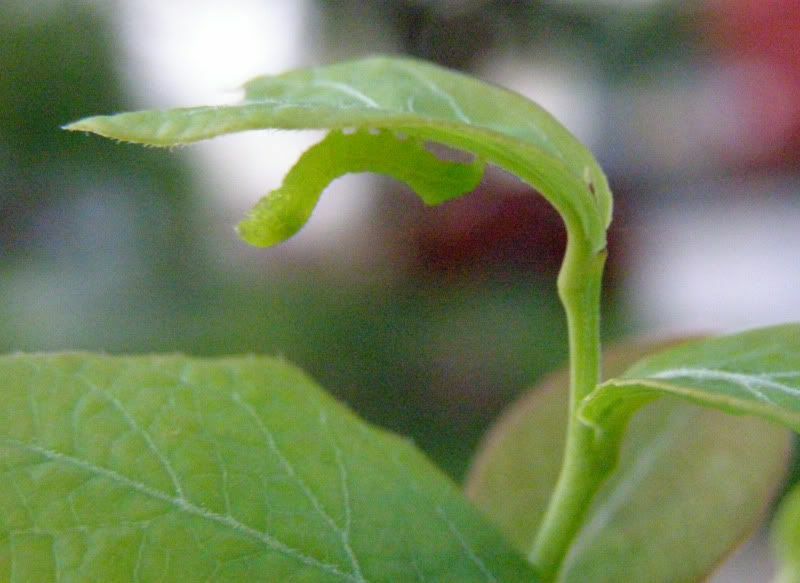 They consume the flower petals, of which both plants have plenty of. 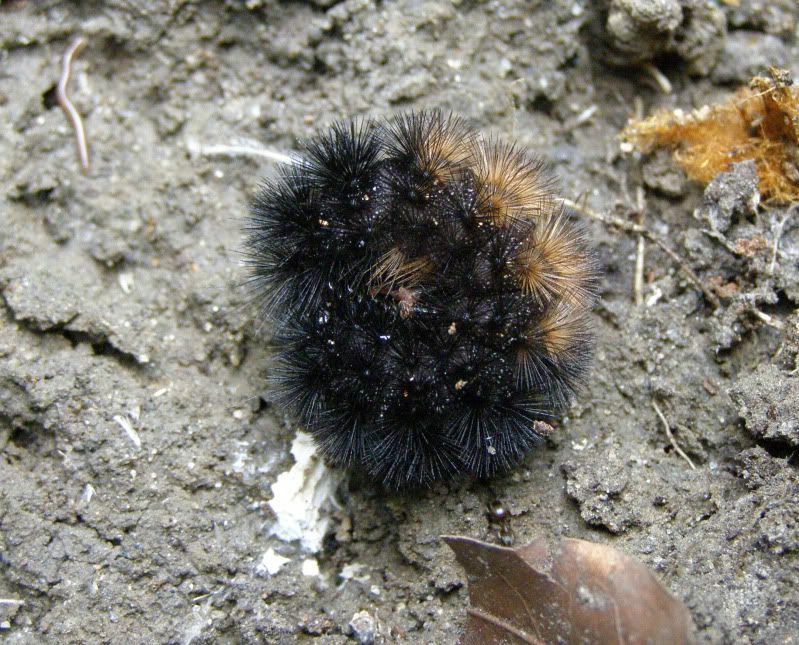 The Woolly Bear caterpillar. These I always found even when I didn't have the garden. Apparently they can eat virtually any plant. For unknown reasons though they wonder great distances. 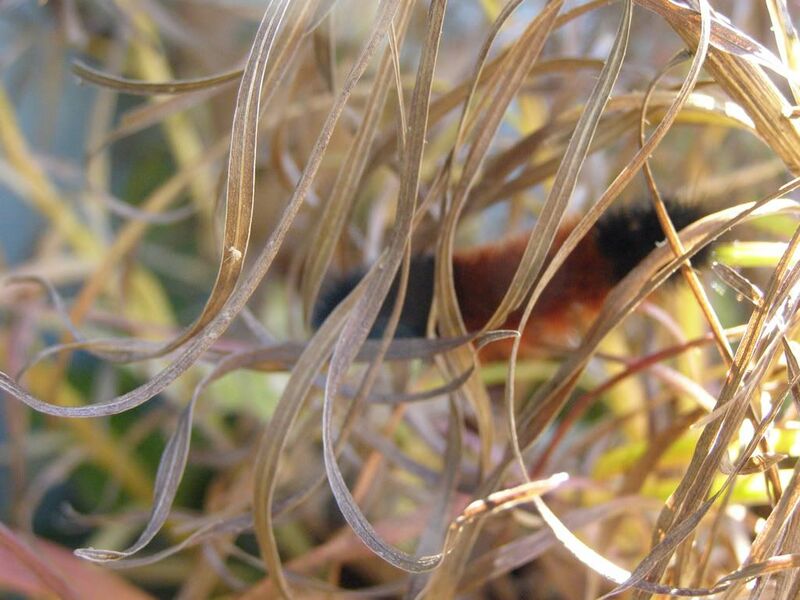 Outside currently I can find Woolly Bear caterpillars. They're not wondering around yet but they're out there. 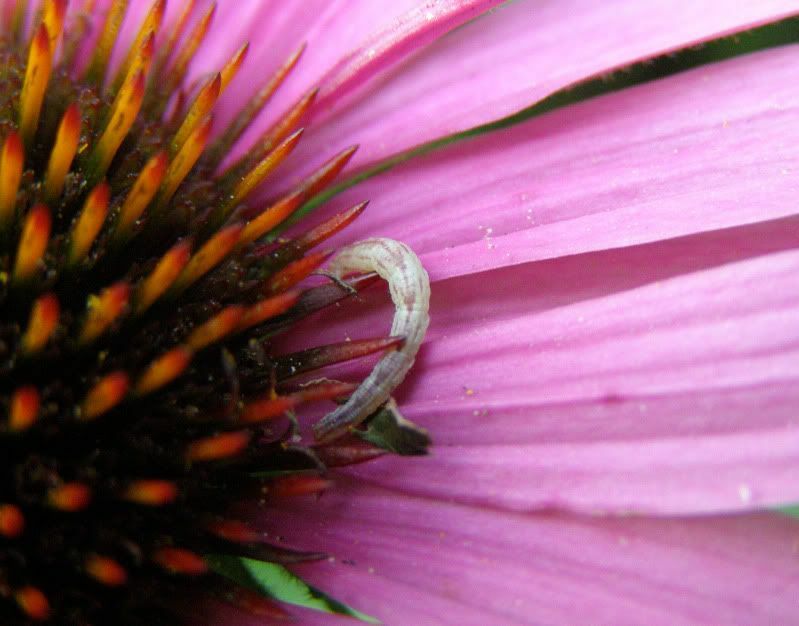 Some unknown inchworm I found eating parts to a Purple Coneflower. 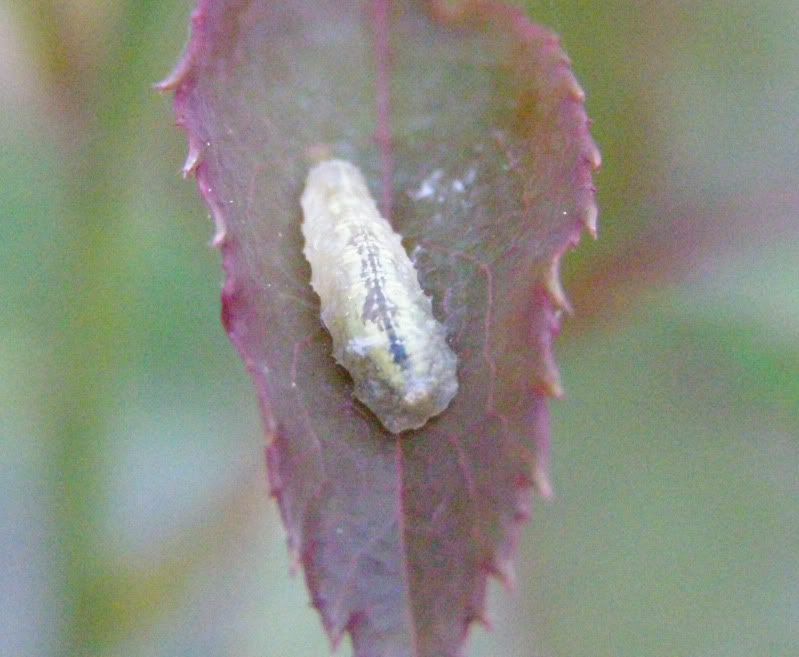 I see a bunch of these on the plants but not consistantly. Not sure if this is a caterpillar but I found a cocoon on the Liatris. Another inchworm of some sort. This one has a death wish though. This must have been what a lucky day looks like for a bird. 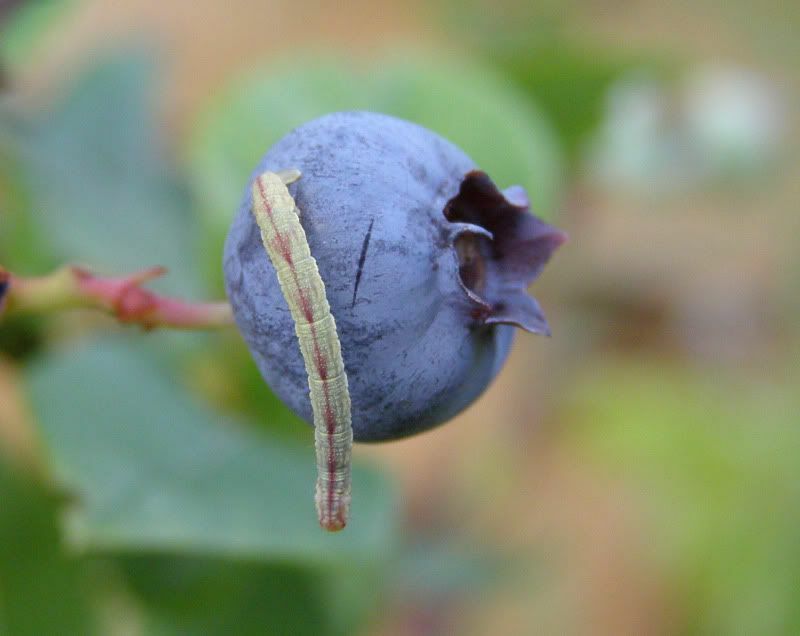 A berry and a caterpillar all in one. I haven't seen it in a week though. Bird or Ant food. Another master of disguise. I found this on Stoke's Aster. I have no idea what it is though. 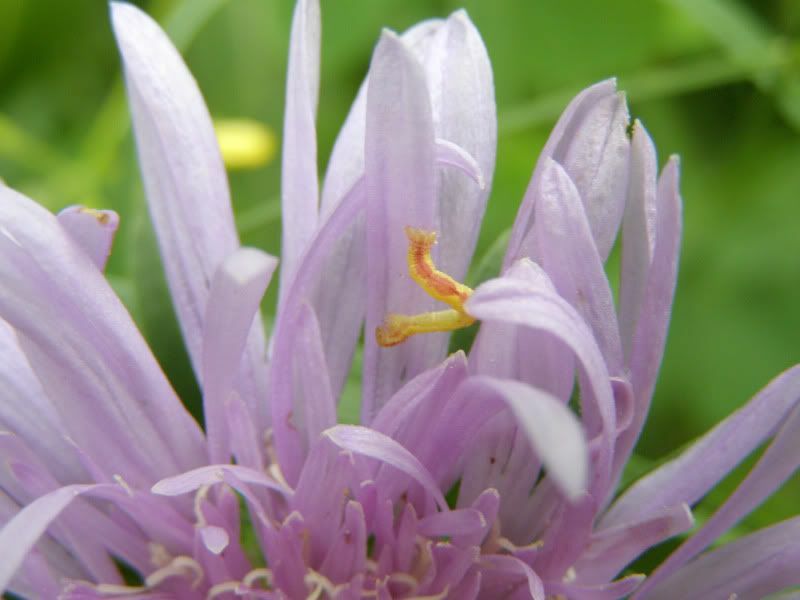 I actually can't find anything using Stoke's Aster as a host plant. Still out on the flower but it's turned more red in color. 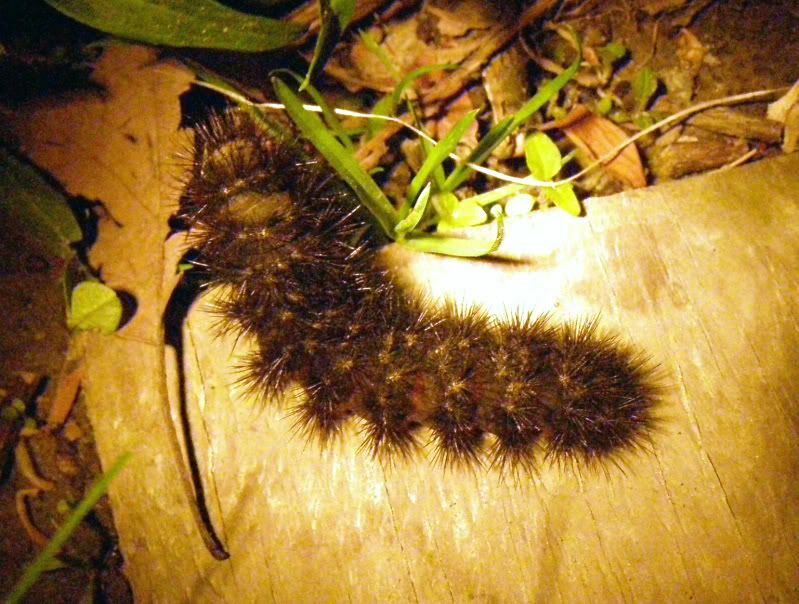 The Giant Leopard Caterpillar. In the fall they're the same size as the Woolly Bear but when you find them wondering in the spring they've grown to be 4 inches or greater. I found this on our rose bush. No idea what it could be. Bird or Ant food. This one was on our Blueberry bush. It vanished a day later. Bird or Ant food. Yet another unknown caterpillar. I found it on our Pear tree which is not native. It vanished later that day. Bird or Ant Food. 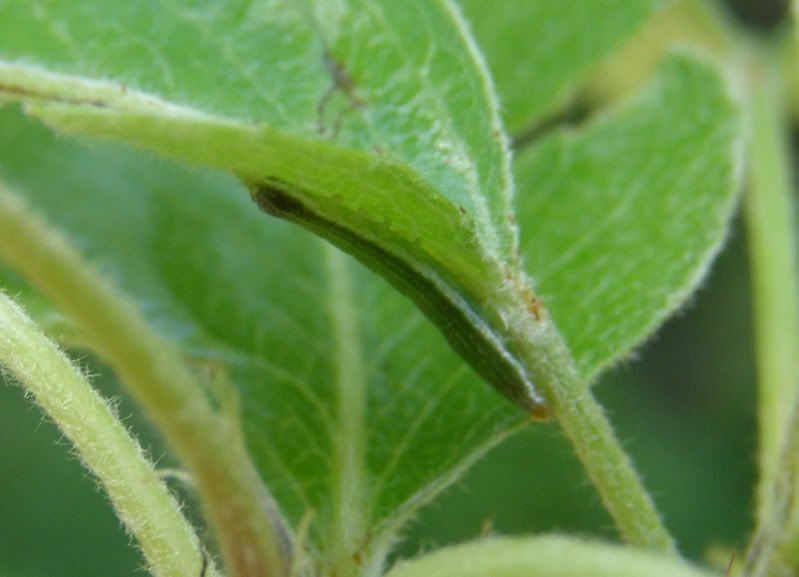 And lastly I found a caterpillar eating a window in one of our sunflower leaves. It also vanished later that day. Bird or Ant food.